Upon completion of this 8-week program, which includes passing 12 tests, your dog will be given a Canine Good Neighbour certificate. This is issued by the Canadian Kennel Club, and is given whether your dog is a pure or mixed breed. Tests are typically scheduled the week following the last class date. Dogs must be a minimum of 6 months old to take the class. Canine Good Neighbours can be counted on to present good manners at home, in public places and in the presence of other dogs. The test is non-competitive and allows dog and handler to demonstrate confidence and control in 12 steps. It assesses the handler and dog's relationship, together with the handler's ability to control the dog. Dogs are evaluated on their ability to perform basic exercises as well as their ability to demonstrate good manners in everyday situations. 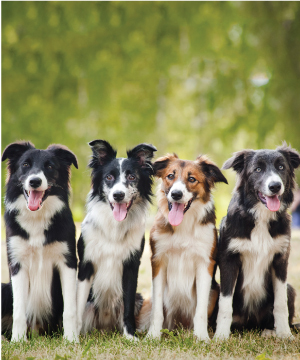 The training program embraces both purebred and mixed-breed dogs and is fun, rewarding, and useful. The program also enhances community awareness of responsible dog ownership and the numerous benefits associated with dog ownership. Below is a listing of the current and upcoming Canine Good Neighbour Program Classes. Group classes have between 4-12 dogs. The price for the eight week session is $260 (+HST). There are no refunds or make up classes for not attending. All students enrolled in class are automatically registered into the next CGN test.